Hey Friends! Welcome back to the blog! Earth Day is in April and to celebrate, we are excited to talk all about sustainability! Today we are sharing some tips on how to be more sustainable at home! ONE: Add citrus peels to your garden. Insects and other bugs do not like the smell and will stay away. In addition, as the peels break down over time, they will provide nitrogen, phosphorous and potassium to your soil. Tear your peels into small pieces and partially cover them with soil. 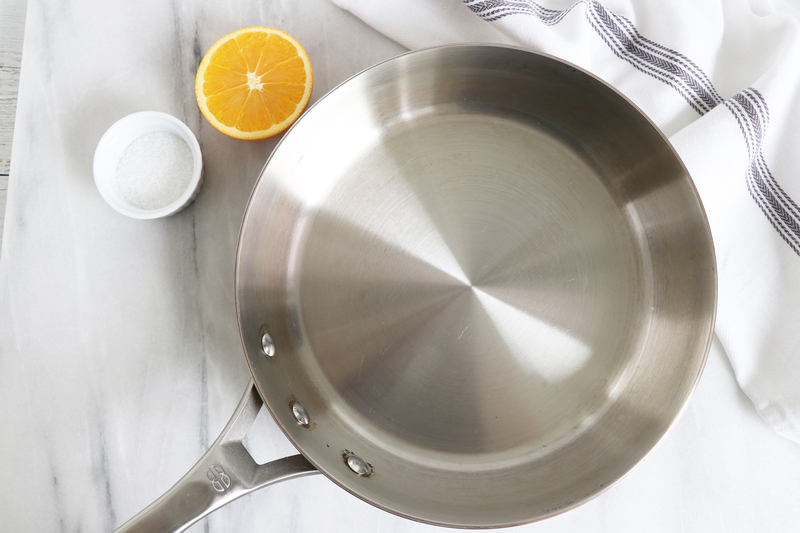 TWO: Use juiced citrus and salt to scrub your sauté pans clean. This also works well on the kitchen sink, glass or ceramic bakeware. This cleaner is all natural and non toxic. THREE: Do not throw out lemon halves after you juice them. Instead of using environmentally harmful bleach, simply add the lemon halves to a large pot of water and bring to a boil. Then turn the heat off and add dingy whites, such as undershirts and let them soak overnight. Wash as usual and you will have brighter whites!